Filed August 22, 2018, Decided February 05, 2019. On February 5th, 2019, the Southern District of New York granted Take-Two’s motion for default judgment against Jhonny Perez. Take-Two accused Mr. Perez of copyright infringement and breach of contract for creating a cheat tool for Grand Theft Auto V (GTA V). Mr. Perez and two unnamed European individuals developed and sold a computer program that allowed users to cheat in GTA V’s online mode. The tool allowed users to control the game environment and generate infinite amounts of in-game currency. The district court entered into a default judgment after Mr. Perez failed to respond to Take-Two’s complaint. Take-Two’s complaint alleged the cheat tool creates unauthorized derivative works of GTA V. In the default judgment opinion, the court agrees with Take-Two’s claim that the cheat tool creates derivative works but does not explain how. Under current case law, a derivative work needs to have some permanent form. See Lewis Galoob Toys, Inc. v. Nintendo of America, Inc., 964 F.2d 965, 967 (9th Cir. 1992). Temporarily altering the code in a game does not meet the permanent requirement. See, e.g., Id. The posture of this case on default judgment meant the issues were not fully briefed, but there would seem to be a question of whether Mr. Perez’s cheat tool actually creates a permanent form. One might argue that Take-Two’s servers record the cheat tool’s alterations which could constitute a permanent form, even though from the perspective of the player the alterations appear to be temporary. However, the district court does not go into this much detail in its default judgment opinion and held that Perez infringed Take Two’s copyright. The court also held that the cheat tools violate Take-Two’s end user license agreement and terms of service, regardless of the copyright infringement claims. 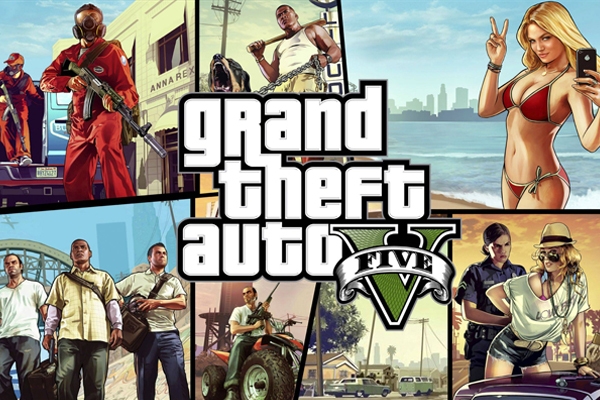 Take-Two’s license agreement and terms of service for GTA V specifically forbid users from creating cheat tools. The agreements also state that users subject themselves to New York courts. The district court agreed with Take-Two that Mr. Perez entered into these agreements and proceeded to breach them. The Southern District of New York awarded Take-Two $150,000 in damages plus $66,868.95 in attorney’s fees, as well as permanently enjoining Mr. Perez from making or selling the cheat tool. The court stated that it was in the public’s interest to prevent Mr. Perez from distributing the cheat tool further. This case appears to be over, but we will report any further developments when they happen.